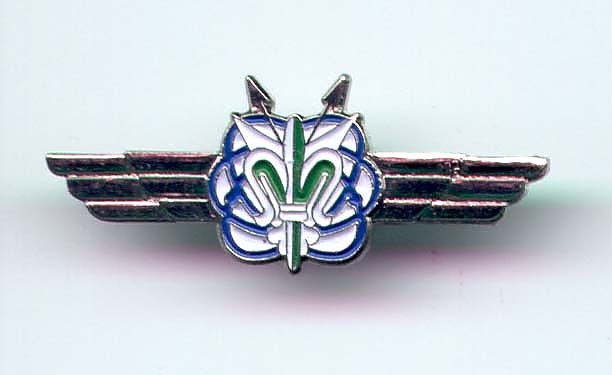 Israel Army Sinal Unit Pin. Israel Army Intelligence is one of the core units of the Israeli Army. State of the art computers, lookouts, balloons and counter espionage all form part of this elite corps. Throughout its embattled history, the state of Israel has protected itself with courage and forcefulness. In modern times, intelligence becomes all the more important, in the fight against terror and other forms of attack. No one can ever know how many plots or planned terror attacks have been foiled due to army intelligence, since these always remain secret. Perhaps the day will come when this chapter of Israel's fight can be written for posterity, but I the meantime, it remains the duty of those brave officers and soldiers who serve in this unit to do their utmost to protect the safety of Israel;s citizens.